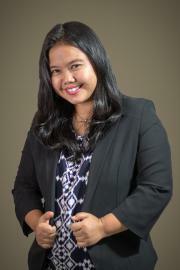 Wiwin got her master’s degree in Southeast Asian Studies from National University of Singapore. Prior to that, she earned her first master’s degree in Linguistics from Universitas Indonesia. She got her bachelor’s degree in English Education from Universitas Negeri Semarang. Wiwin is an editor and translator at SMERU. She is responsible for ensuring high quality research publications in both Indonesian and English. Prior to joining SMERU, she was a part-time IELTS and TOEFL teacher at Lembaga Bahasa Internasional, Universitas Indonesia. She also worked as an Indonesian as a Foreign Language teacher at the same institution. In 2015, Wiwin received NUS Graduate Scholarship for ASEAN Nationals from National University of Singapore to pursue he graduate study in Southeast Asian Studies. In 2011, she received Asian Graduate Student Fellowship from Asia Research Institute, NUS, and presented her research at Singapore Graduate Forum on Southeast Asian Studies.